Kyle Taylor is an accomplished competition and commercial litigator with significant expertise in complex and multi-jurisdictional litigation. 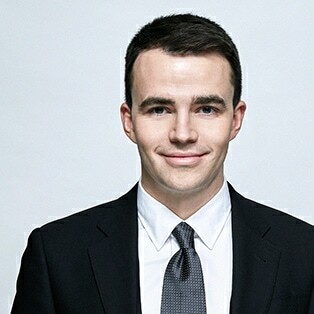 He has extensive experience in both Canada and the United States representing plaintiffs and defendants in prominent class actions, competition/antitrust litigation, and all manner of business and cross-border disputes. Before joining Affleck Greene McMurtry LLP (AGM) in 2016, Kyle practised for many years in the New York office of a global litigation firm. This rare combination of litigation expertise in major jurisdictions in Canada and the US delivers a unique, strategic advantage to AGM’s clients. Kyle frequently appears before all levels of court in Canada and has appeared before federal, state, and appellate courts in the US. AGM is known for its expertise in complex litigation for all manner of commercial disputes, competition law matters and administrative proceedings. AGM’s premier practice areas are Corporate & Commercial Litigation, Competition Law, Class Action Litigation, Insurance Defence, Securities Litigation, Construction Litigation, Shareholder & Partnership Disputes, and Regulatory & Administrative Law.